No longer are content creators chained to their desktops. 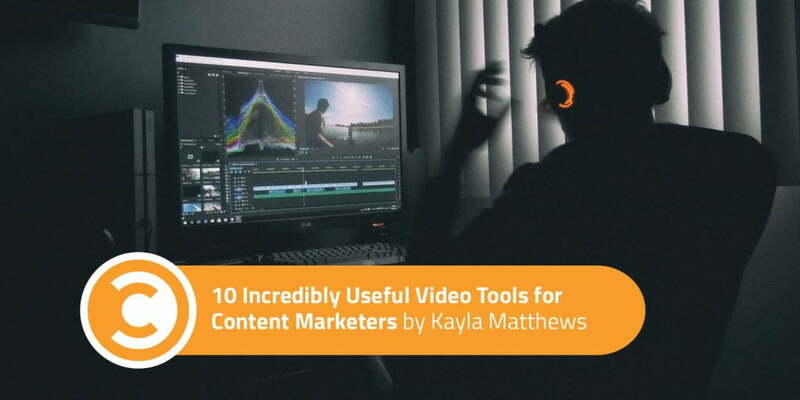 With full-featured video editing apps available for smartphones, create polished layers of content on-the-go for your website or for your favorite social networks. 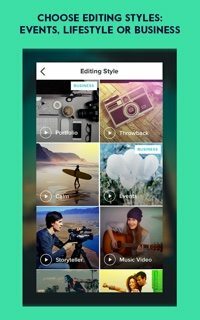 Here is a list of video editing apps for smartphones. There are simple editors as well as advanced multi-layer tools with a library of effects. Most of the apps are free, though several offer premium versions and in-app purchases. Magisto is a video editor for people on the move and for those who don’t have formal video editing skills. 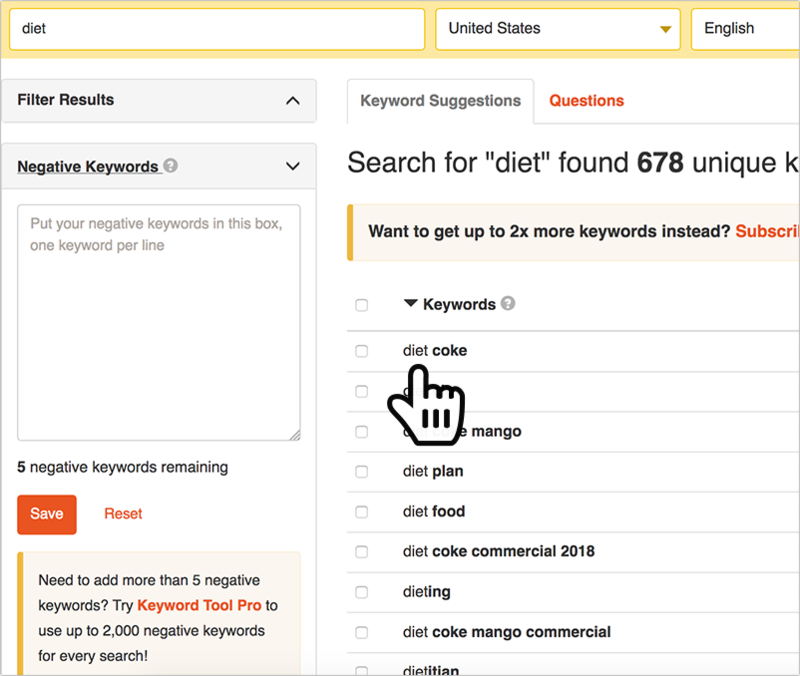 Magisto video maker uses artificial intelligence to find the best parts of your footage. 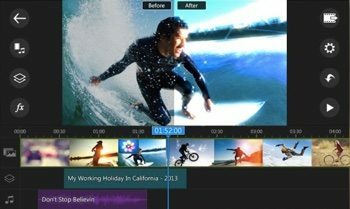 Magisto applies video editing techniques such as stabilization, facial recognition, video filters, video effects, and auto video crop. Available on Android and iOS. Price: Free. Premium subscription is $4.99 per month. Professional version is $19.99. Adobe Premiere Clip makes it fast and fun to create quality videos that can be easily shared — or easily opened in Premiere Pro CC for extra polish. Drag and drop clips and photos in the order you like and trim parts you don’t want. Add visual polish with lighting adjustments, transitions, slow-motion effects, and more. Choose from stock soundtracks or add your own music. Save finished videos to your camera roll and post them directly to Facebook or YouTube. Available on Android and iOS. Price: Free. Splice has everything you need to create a fully customized video: trim, crop, effects, titles, speed controls, animation, transitions, music, and more. Choose from a large library of free music and sound effects. Overlay multiple tracks, adjust the volume, and add narration to fine-tune your audio. Available on iOS. Price: Free. Clips is a free app that lets you make fun videos to share. With a few taps, you can create and send a video message or tell a quick story with artistic filters, animated text, music, emojis, and fun stickers featuring characters from Star Wars, Disney, Pixar, and more. 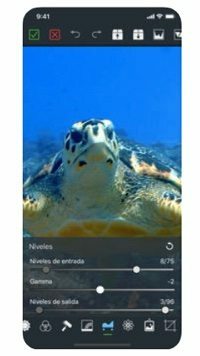 Create animated titles and captions using just your voice. Available on iOS. Price: Free. PowerDirector has powerful timeline video editing, free video effects, slow motion, reverse video, edit background, and more. Create voice-overs and action movie effects using chroma key to produce 4K resolution movies and share them on social media. Available on Android and iOS. Price: Free. LumaFusion is a powerful multitrack video editor for mobile devices. 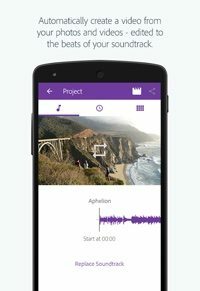 It features three video-audio tracks for photos, videos, titles, and graphics — with three additional audio tracks for narration, music, and sound effects. Create slow motion and fast motion forward and reverse. Includes dozens of video effects, layer effects, media library, tutorial videos, and more. Available on iOS. Price: $19.99. 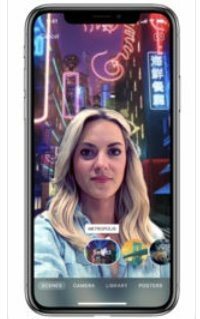 VUE is a social video app to (a) capture memorable moments, (b) edit them through adding filters, stickers or montage, and (c) share them with the world. Get the montage effect via juxtaposition in up to 60-seconds of clips with more than 30 designer stickers to choose from. Available on Android and iOS. Price: Free. 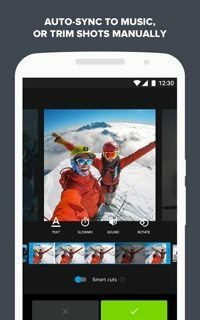 Quik is a smart mobile editor from GoPro. 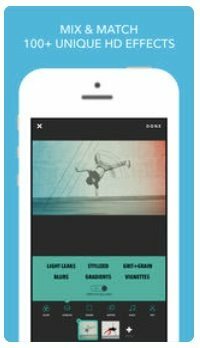 Quik analyzes your video clips and selects compelling moments, or you can select your own moments. Quik detects faces and colors to frame each photo perfectly — or crop your photos manually. Choose from 26 video styles, each with carefully designed transitions and graphics. Easily reorder photos, video clips, and titles. Trim video clips and frame photos. Choose from more than 80 free songs, or use a song from your iTunes library. Available on Android and iOS. Price: Free. KineMaster is a full-featured professional video editor, supporting multiple layers of video, images, and text, as well as precise cutting and trimming, precise volume envelope control, color LUT filters, three-dimensional transitions, and more. KineMaster supports unlimited text, images, handwriting, and sticker layers. Use up to two video layers on supported devices and up to four additional audio tracks. Available on Android and iOS. Price: Free with a watermark. Annual subscription is $39.99. VideoGrade a color-grading tool for your videos with high-quality filters to adjust images. VideoGrade gives you information while editing: real-time previews of how the video will appear, color channels histogram, clipping previews, and split screen mode for comparing the edited video with the original. Available on iOS. Price: $5.99. 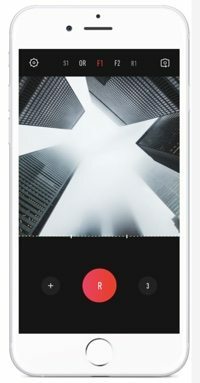 Videohance is an editor to add style to your videos. Adjust looks and layers as you watch in real-time. Features over 50 textures, 40 look presents, and 25 frame styles. Add motion to your photos, music, and clip transitions. Share directly to Instagram, Facebook, YouTube, WhatsApp, and more. Available on iOS. Price: $3.99. VidLab is another multi-clip video editor that allows you to easily create videos and photo stories by adding text, artwork, music, video, sound effects, overlays, and voice-over. Choose from a selection of unique collage templates and a large collection of art elements, effects, and filters. Available on iOS. Price: $1.99 without watermark. $5.99 to unlock all features. ALIVE is a fast and intuitive editing app. 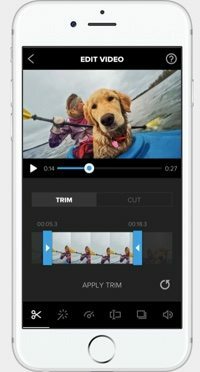 Just tap and drag to cut, trim, reorder, and even adjust the speed of your videos. Add realistic filters, visual effects, and copyright-free music. Choose from a library of more than 145 effects, custom filters, and animations (light rays, infographics, transitions, and more). Available on Android and iOS. Price: $3.99. Apple iMovie. With iMovie, choose from eight unique themes with matching titles, transitions, and music. Enhance your movie with slow motion, fast forward, picture-in-picture, and split-screen effects. Choose from 10 Apple-designed video filters. 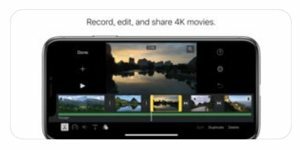 Use the iMovie extension to enhance video clips directly in Apple’s Photos app. Available on iOS. Price: Free.